Spain is well-known for its beaches, sun and parties. However, the country has an incredible historical heritage that is a great excuse to review world history, and provides a wonderful opportunity to consider who we are and how far we’ve come. From paleolithic art and archaeological remains in the Altamira cave to Modernism buildings from the 20th Century, going through Roman ruins and Medieval cities, Spain offers a great opportunity to see these little pieces of history in person. In this article, I want to focus on Medieval cities to visit in Spain, because they are great places to visit with children, since the city itself is a monument and you don’t need to wait in long queues or silent museums where children may become bored. Besides, the trip offers you the chance to think and change your approach to living. It will show you how people lived in a changing world, for which accept diversity and look at new things as opportunities instead of threats is a much better scope than isolate oneself being afraid of new things. For Americans, Madrid and Barcelona provide the easiest access to the country. In this post, I will assume you can travel to Madrid, since it is in the center of the country and is the most convenient location from which to travel anywhere else in Spain. Though you can move through the country using the public transport, renting a car is highly recommended so that you can stop and visit charming villages during the trip. Toledo is a small city located about 70 km (43.5 miles) from Madrid. The city itself is a museum with stone pavement and big buildings from an age in which Catholics, Muslims and Jews lived together struggling for control. 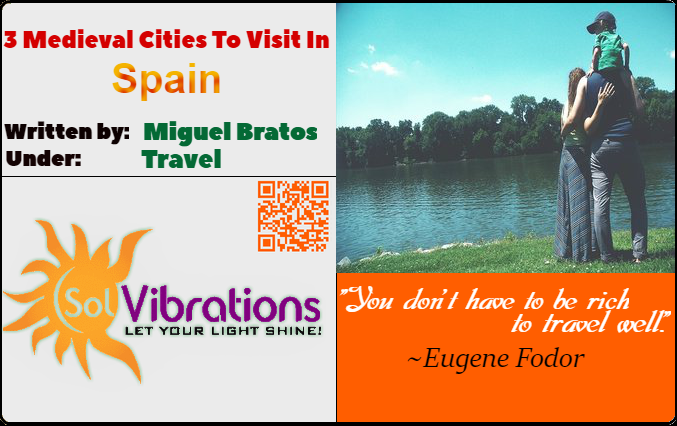 In this city, you can visit the Cathedral and churches, synagogues and mosques from the 11th to the 14th Century. There is also an army museum in the Alcazar, a big building that originated in the Roman age (third century), although it has been updated many times since then, and no longer retains its original shape. You can go by high-speed train from Madrid for a day trip or stay in the city and enjoy one night in its streets. Though it is true that problems arose, Toledo was an example of a city in which three different religions coexisted successfully. But more than that, it’s an example of the benefits that this cohabitation has for the future. Without any of these three different living approaches in its history, the city wouldn’t be the treasure that it is now. Visiting it, it’s your chance to introduce a new approach in your life in which people diversity should not be a problem in the present, but an opportunity to reach a richer future, as it happened in this city. Cáceres is 300 km from Madrid (186 miles) and 260 km (161 miles) from Toledo. 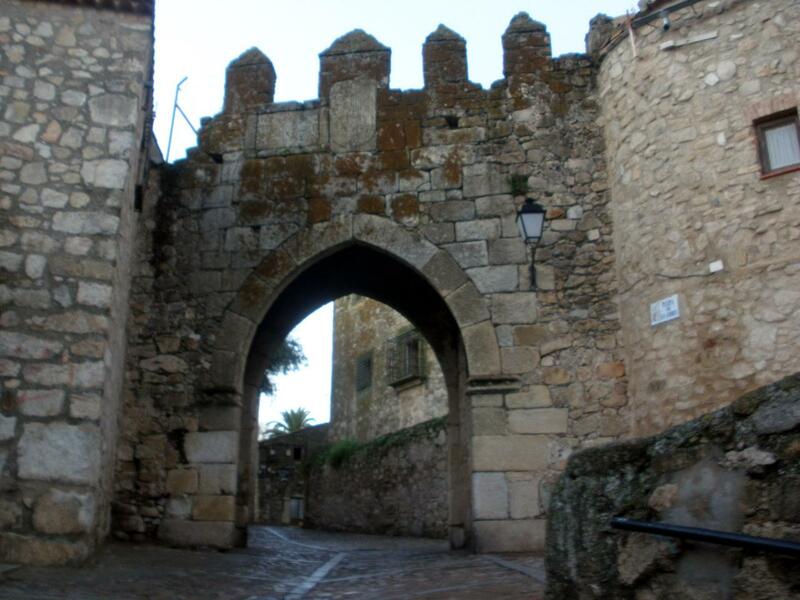 If you can go driving, try to stop in Trujillo before you reach Cáceres. This village is another awesome example of history made real and has the house of Francisco de Orellana, the first European explorer to navigate the entire length of the Amazon River. This house is now a small high-quality hotel, and offers a beautiful place to spend the night. 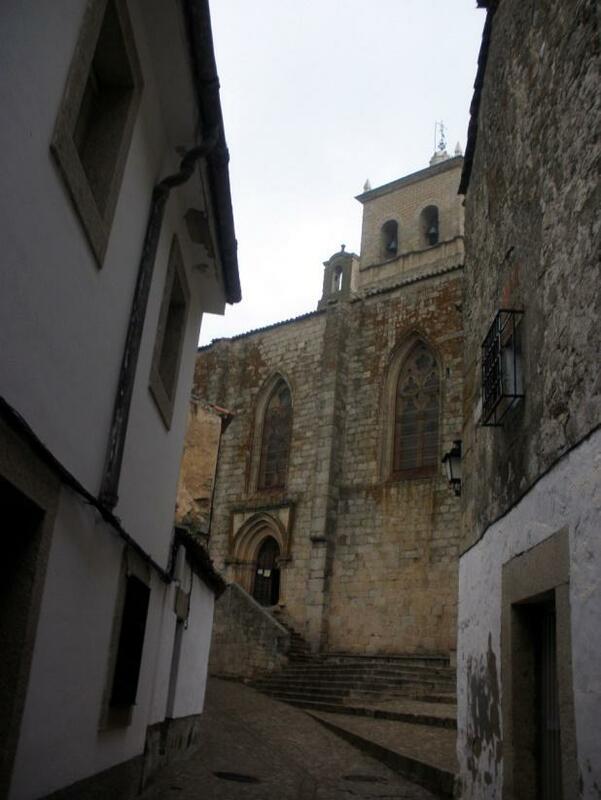 Walking in the streets of Cáceres is like traveling through a children’s book. The city is full of palaces, defensive towers and religious buildings that create an environment in which it seems possible that you could find a knight around the next corner. The temperature can be extreme, both in summer and in winter. So, if you go during hot weather, remember your sunscreen or, if you visit during the winter, be sure to wear a good warm coat. Spanish explorers like Francisco de Orellana taught us that everything is possible when we are brave enough to try it. Cáceres, Trujillo and other close locations, were the origin of men who were brave enough to travel to America, even though they weren’t sure about Earth’s spherical form. These men believed it was possible to fall to the depths at the end of the Earth, yet they put their fears aside and embraced the adventure. These two locations give you the starting point to encourage yourself to start that adventure you always wanted to do. Life is like a travel, in which only explorers see the full potential of it. It is time to move towards your dreams. After visiting Cáceres, it is time to travel north by a highway called Ruta de la Plata. The highway got its name from the fact that Romans used the same path to transport silver they got from Spanish mines. 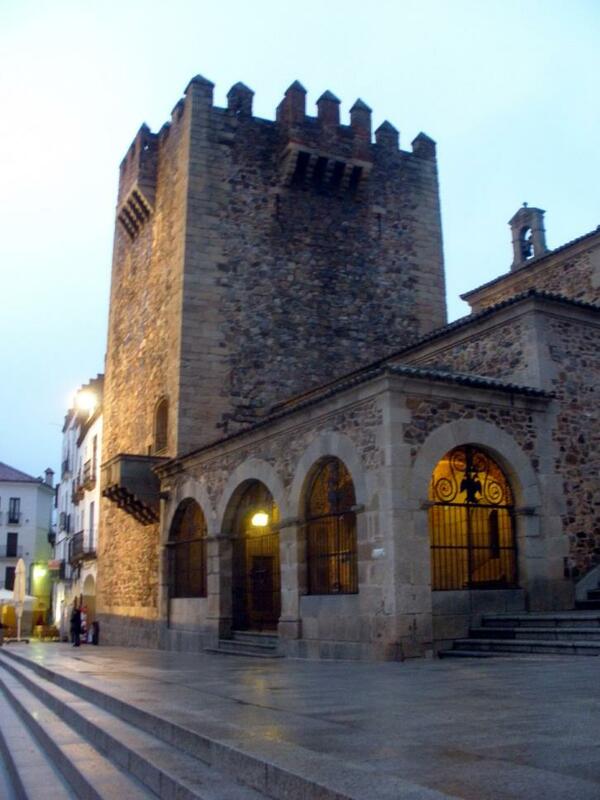 Close to Toledo, but in the same direction as Salamanca, you can visit two other nice villages, Plasencia and Coria. Again, you will see monuments, streets and squares as they were centuries ago, and your children will thank you for the opportunity to leave the car. 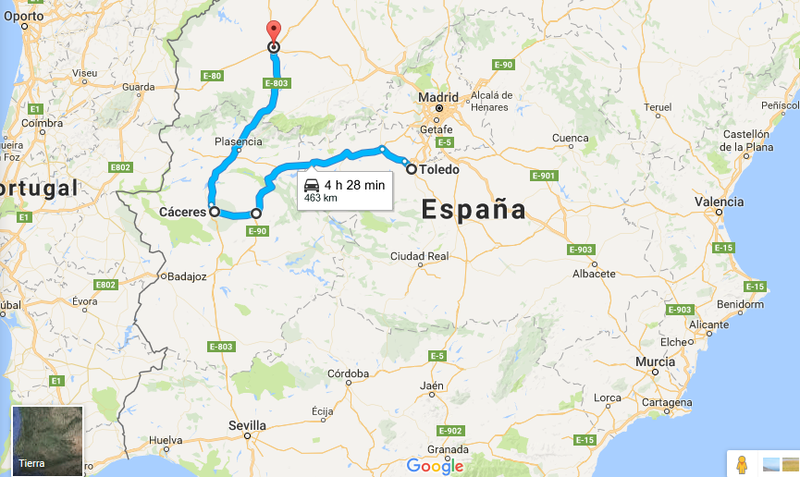 Salamanca is 462 km from Cáceres, but the road is good so you can reach it in less than 5 hours. The city is famous because of its university and has a young population that gives the city a great personality. Founded in 1134, its university is a must-visit. In the city, you will see palaces with lovely courtyards with arcades, churches and many other interesting buildings. But again, the streets themselves are the best museum where any place you stop to get a beer, you will get a food portion for free. So basically, you can have a full lunch for the price of 2 or 3 beers. As I said, Salamanca is a destination for thousands of university students every year. However, the biggest lesson is not in the university, but in the city. When there, take advantage of the opportunity to chat with people from different parts of the world. Salamanca is a hub of interesting young people with great cultural curiosity and you can find a stimulating conversation in almost every corner. Do not hesitate to chat with bartenders and students. They will likely be kind and willing to talk. Salamanca is the right place to understand that there are not strangers, but potential friends. In a city in which people from very different places enjoy together, you can change your mind and open yourself to new people that for sure will have a lot of things to offer. And last but not least is the wonderful Spanish gastronomy waiting for you. Spanish food in the inland is very traditional with lots of pork products and roast pork, lamb, young goat, etc. But if you like legumes you won’t have any problem finding them in any restaurant. Potato omelette (in many places called Spanish omelette) is a good option as a snack for children. As you can see, Spain is much more than beaches and sun. If you like cultural trips, be sure that here you will be able to create an enjoyable route for both adults and children. It is recommended that you buy a nice guide, in order to be able to understand what you are looking at and explain it to children. Lastly, take the advantage of this trip to see the good points of diversity, bravery and culture. These places were important in a time in which the world was changing a lot, after the discovery of America. Now we are living in a similar time, in which the internet is changing everything. Take advantage of the lessons the cities and its historical figures have for us. And of course, if you have any questions, do not hesitate to ask!